Sure, in the reading of these precious books I stumbled upon some writing that was pretty awful, but I thought what the hell, it couldn’t be bad; it was published in Weird Tales right? As my reading tastes grew a little more discerning I realized that this old pulp, great as it had been, had a few things wrong with it. Some of the writers were just plain hacks, leagues away in literary ability from Howard, Lovecraft, or Clark Ashton Smith. I figured editor Farnsworth Wright had probably gotten his head stuck in his nether regions when he refused to publish such classics as “The Shadow over Innsmouth” and “The Frost-Giant’s Daughter.” And, of course, when he took magazine space for a reprinting of Frankenstein—something any reader of Weird Tales probably already had in his or her library, I thought Wright was just plain wrong. Some of the artwork was pretty sad also, resembling grade school chalk drawings by wild-eyed children. But, one of the best things the pulp ever did, and this is comparable to the publishing of Howard and Lovecraft, is when Wright introduced Finlay to the readership. Now, on the 100th anniversary of Finlay’s birth, I’m sure he’ll be honored all across the Internet, and that’s a fine thing. My humble little post can’t begin to do justice to a talent as great as Finlay’s but I couldn’t let the day go by without some sort of recognition on my part. The beauty, and grace, of great illustration is evident in almost every piece Finlay produced, from bold, colorful magazine covers to a drawing for Howard’s “Skull-Face”, shown above. In a class all by himself, his work was always, always, of high quality, and frequently—very frequently—better than the story he was illustrating. Weird Tales was a great pulp, because, in spite of some of the egregious mistakes Wright was known to make, the old mag had a pretty good stable of talent, and some of the best horror/fantasy stories ever written first appeared inside the covers. Damn near 100 years old itself Weird Tales continues to have a wide following and devotees of fantasy still meet to argue the merits of the Windy City Grab-Bag, as HPL once satirically referred to it. 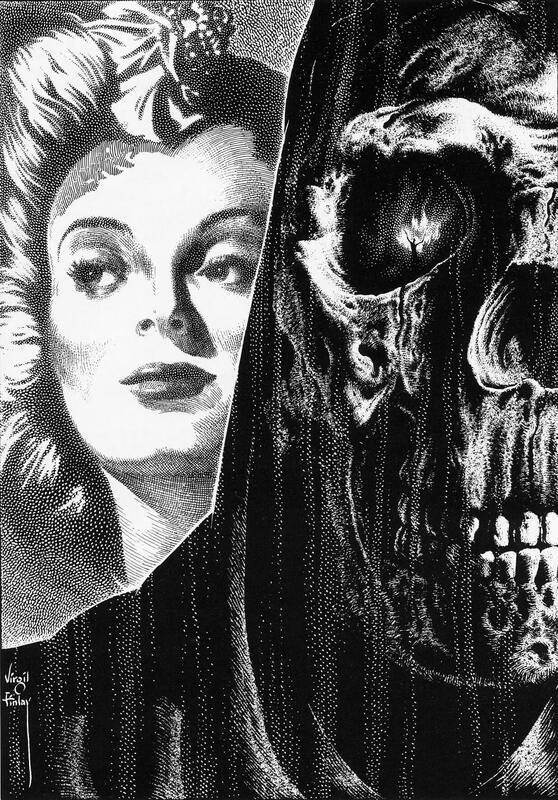 It was like catching lightning in a bottle, and what a jolt Virgil Finlay gave the magazine, issue after issue. So take time to remember Mr. Finlay today—an artist whose imagination, and talent, places him as one of the greatest illustrators to ever put pen to paper. 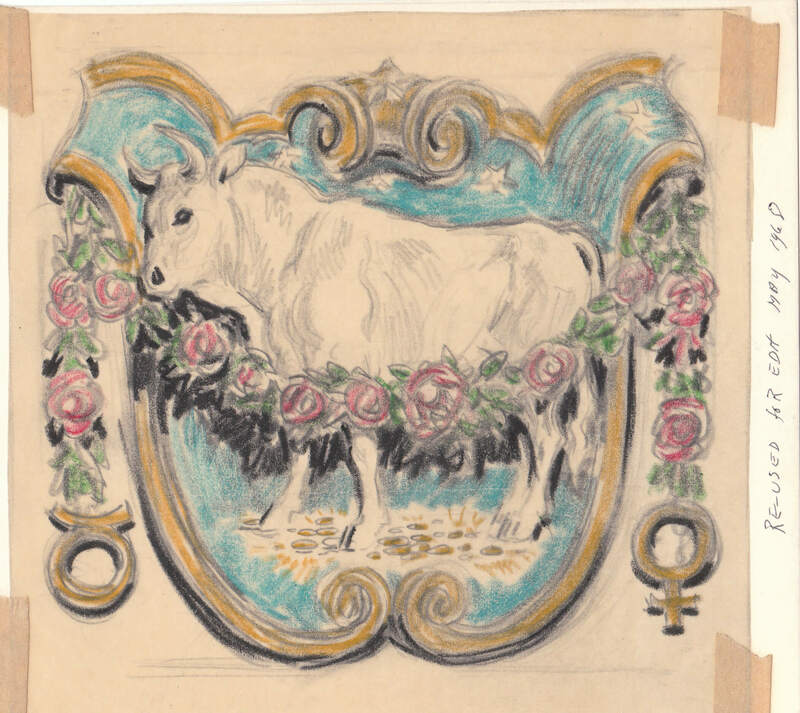 The other Finlay displayed in this post is an example of his astrological drawings, and is part of my personal collection; something I purchased from his daughter a few years back. Certainly not one of his greatest works, I still think it’s beautiful and it won’t be leaving my library without a fight.